TED-Ed is a “lesson creator” platform that allows you to structure an assignment around a video and assess students’ engagement with the material. The lesson format consists of a lesson title, a written introduction (“Let’s Begin”), a series of multiple choice or open-ended questions (“Think”), a place for additional resources to encourage further exploration (“Dig Deeper”), an interactive class discussion (“Discuss”), and a closing (“And Finally”). Type of learning Cognitivism; Cognitive Constructivism; Social Constructivism. Ever watch a great video on YouTube and wish you could share it with your class? Have you ever assigned a YouTube video as homework and wondered what your students learned from it? Or, maybe you are curious about “flipping” your classroom. TED-Ed is a “lesson creator” platform that allows you to structure an assignment around a video and assess students’ engagement with the material. You can use any YouTube video you find (or create) or you can select from the specially-curated “TED-Ed Originals” section which features lessons co-created by educators around the world. The lesson format consists of a lesson title, a written introduction (“Let’s Begin”), a series of multiple choice or open-ended questions (“Think”), a place for additional resources to encourage further exploration (“Dig Deeper”), an interactive class discussion (“Discuss”), and a closing (“And Finally”). Once you “publish” the lesson you can share the link with whomever you like, however you like. The lesson remains private. The platform allows you to easily browse videos by subject area or enter a url of any YouTube video you’ve found. Alternatively, you can use one of the TED-Ed Originals as is and have your students join in public discussions, or modify the lesson for class objectives. As the creator of the lesson you’ll be notified as your students complete the lesson and can review a summary of the results and comment on their individual answers. The individual’s responses — including open-ended answers — can also be downloaded as a CSV file and imported into Excel. With the obvious caveat that you need to have find an appropriate video, this is a tool that can easily be adapted for pre-assessment, formative assessment, or summative assessment purposes by altering the types of questions you ask. For example, you can use the video as a prompt for a topic you are just beginning and have students share with you what they know beyond the video’s content. You can use it mid-way through a unit to measure progress toward learning objectives. Or you can use it at the end of a unit to challenge students to apply what they’ve learned to the context presented in the video. Power & Bias: TED-Ed is an open platform and is limited simply by the number of appropriate and relevant videos available on YouTube (4 stars). Accessibility: This is a tool for presenting information visually, thus sight of the user is assumed. However, multiple contrasting colors and zoom abilities may help for those with impaired sight. Sound quality, transcript availability and closed captioning depends on video source. Tips for increasing accessibility of YouTube videos are here but are not evident on the TED-Ed site. (3 stars). Substitution: Students will independently watch a video, answer written questions, and participate in online discussion — this takes the place of showing a video in class and having students discuss or be quizzed in class. Augmentation: As students discuss and answer questions about the video, a teacher can respond privately and individually. There is also a written record of the discussion and exchange which can be referenced as an assessment tool. 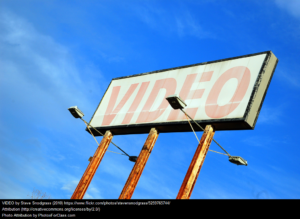 Modification: Through embedded “video hints,” students’ attention can be easily drawn to specific segments of the video for independent review of complex elements of the video. The use of the “Dig Deeper” section of the lesson plans promotes independent exploration of curated resources. Redefinition: Students use TED-Ed to create their own lessons and share the link with classmates, peers in other schools, and experts in order to broaden the discussion. Math: Students watch a video that is either explicitly about a math concept or a subject which requires numeracy skills to understand. Students answer related questions which require calculations similar to those in the video. Also see TED Ed Originals and TED Ed lessons for mathematics. Science: Have students find a video which could be used to demonstrate a particular scientific concept (e.g., gravity) and create a lesson plan which is then shared with other students. Also see TED Ed Originals and TED Ed lessons for science and technology. Second/Foreign Languages: Students practice listening skills by watching videos of speakers in “authentic” scenarios and answering questions which require focus on particular content or constructions. Other: Student groups are assigned with different videos on the same topic and reply to identical question sets. Once complete, students share and compare their answers either in an online discussion or face-to-face and discover in what ways the videos complement or contradict each other and suggest why this might be the case. Also see TED Ed Originals and TED Ed lessons for social studies. 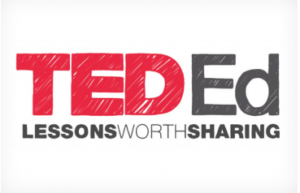 Can TED Talks Really Work in the Classroom? Click “Register” to sign-up for an account. On the “Create a Lesson” page, enter a keyword to search for possible videos or a url if you know what video you want to use. After selecting a video you will be moved to the “Create a Lesson” page. Note there are currently two versions of the page with different interfaces, but they have the same functionality and you can switch back and forth by using the link in the upper right hand corner. Change the lesson title, if needed. Add the following content: introduction, questions, discussion, supplemental info, and conclusion. Use the “More” button to preview the lesson or get help. Use the “Publish” button when you are ready to share the lesson by generating a link or sending the lesson to entered email addresses. Watch your email or login to your account to see your dashboard, which will include all the lessons you’ve created or begun to create, as well as lessons and discussions you’ve participated in. You can also control settings and notifications in this area. The tab beneath each video on your dashboard tells you what actions you might take, e.g., review students work, starting a lesson, or finishing a lesson. Fulton, K. (2012). Upside down and inside out: Flip Your Classroom to Improve Student Learning. Learning & Leading with Technology, v39 n8 p12-17 Jun-Jul.. Retrieved from http://eric.ed.gov/?id=EJ982840. Mullen, R. & Wedwick, L. (2008). Avoiding the Digital Abyss: Getting Started in the Classroom with YouTube, Digital Stories, and Blogs. The Clearing House: A Journal Of Educational Strategies, Issues And Ideas, Vol. 82 , Iss. 2,2008. Retrieved from http://www.tandfonline.com/doi/abs/10.3200/TCHS.82.2.66-69.